You’d think I was dead. I’d think I was dead, too, because my friend Shannon got Tarot cards and my reading was dismal. If I were a ghost, I would have moved into The Haunted Mansion, so clearly, that’s not the reason for my absence. I love living in Oregon because our summers are pretty mild. You can expect sunny and 75-80°. Well, the past month had many 90-95° days. I wanted to bake, but refused to heat up my apartment. It was cool (80°) yesterday, so I went for it. 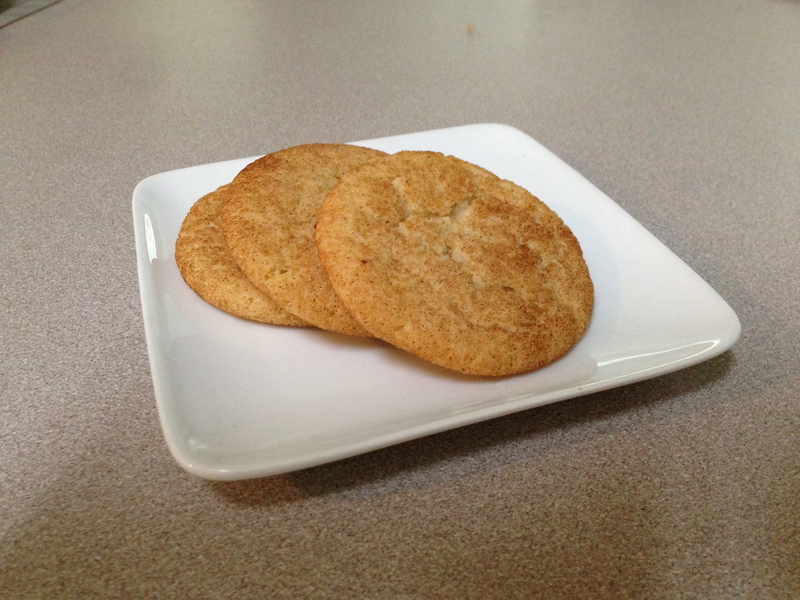 You can get away with a snickerdoodle any time of year, right? Don’t be picky. 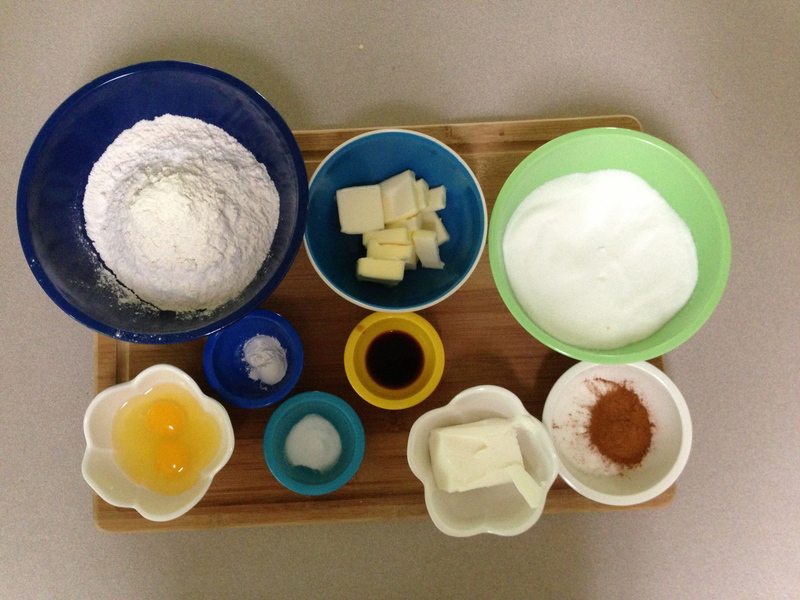 Step 1: Gather ingredients: Flour, butter, sugar, more sugar & cinnamon, shortening, vanilla, baking soda, cream of tartar, eggs. Oh, another reason I haven’t been baking is because my cat Xander had an issue that put him in the vet hospital for 3 nights. He’s doing well now, though! And for the record, I do NOT feed my cats cookies. He’s on a prescription diet now anyway. Step 2: Mix flour, cream of tartar, and baking soda. I must not have been paying attention when I took that picture. Whoops. 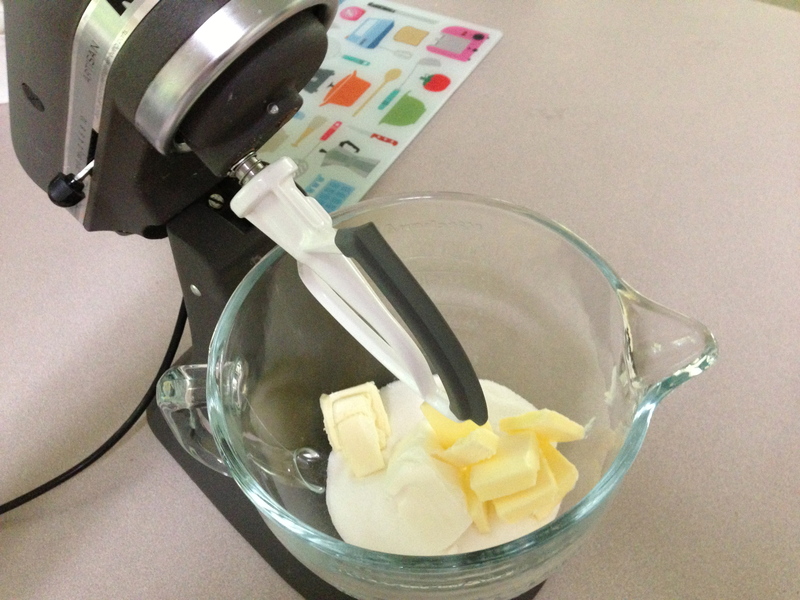 Step 3: Beat sugar, butter, and shortening until light and fluffy. 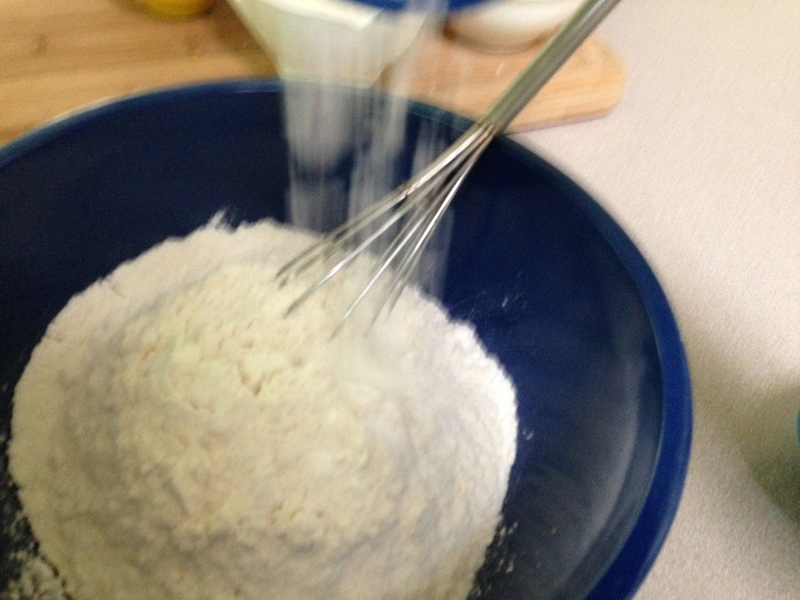 Step 5: Gradually add flour mixture until combined. Step 6: Refrigerate at least 1 hour. I let it chill for about 5 hours while I went on a run, shopped at Target, ate dinner, and caught up on Honey Boo Boo. 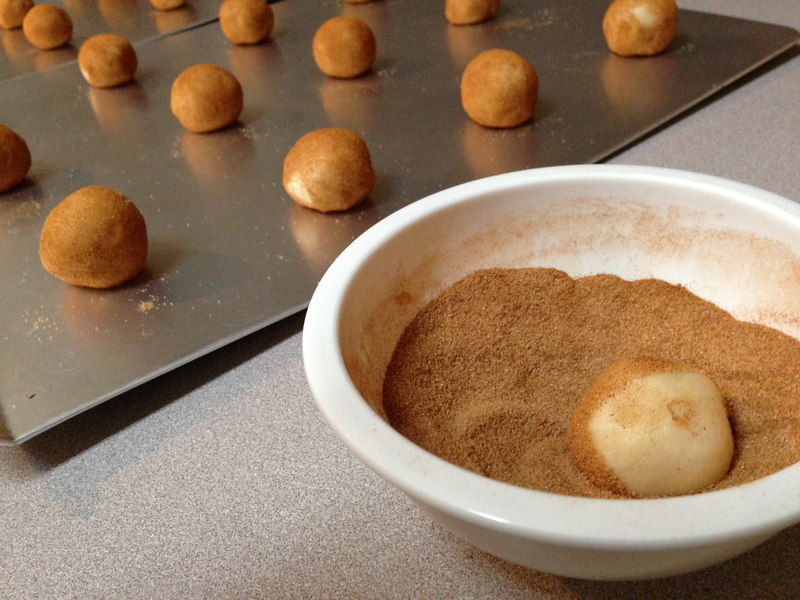 Step 7: Roll into 1-inch balls and coat with cinnamon sugar, then bake. This is a pretty quick recipe that I’ll use again (if people like them). You don’t lose “it” if you take a month off. I know people love snickerdoodles and I thought I did too. I don’t love these, actually. But I hope you do! 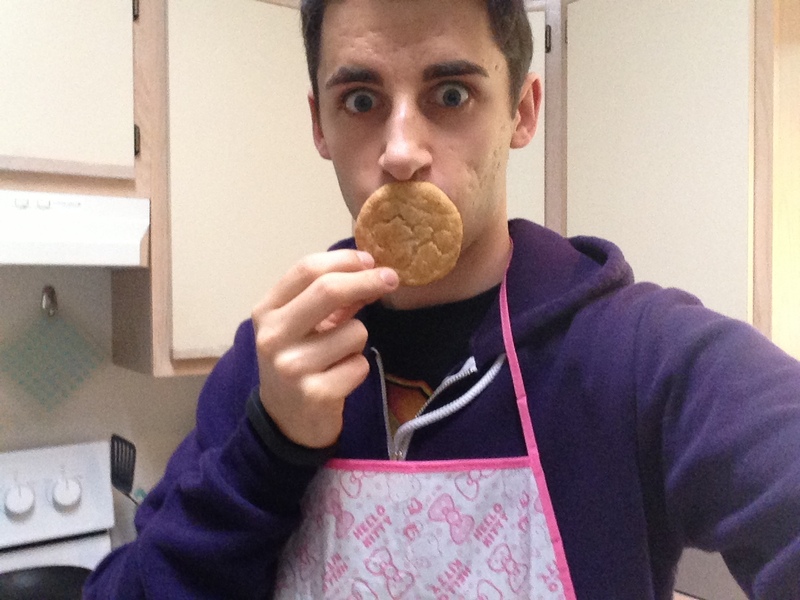 A friend from work, Randi, went to Japan and sent me a Hello Kitty apron. It was only right that I covered my mouth since our favorite kitty doesn’t have one. shortening makes it softer supposedly. and cream of tartar is a stabilizer. 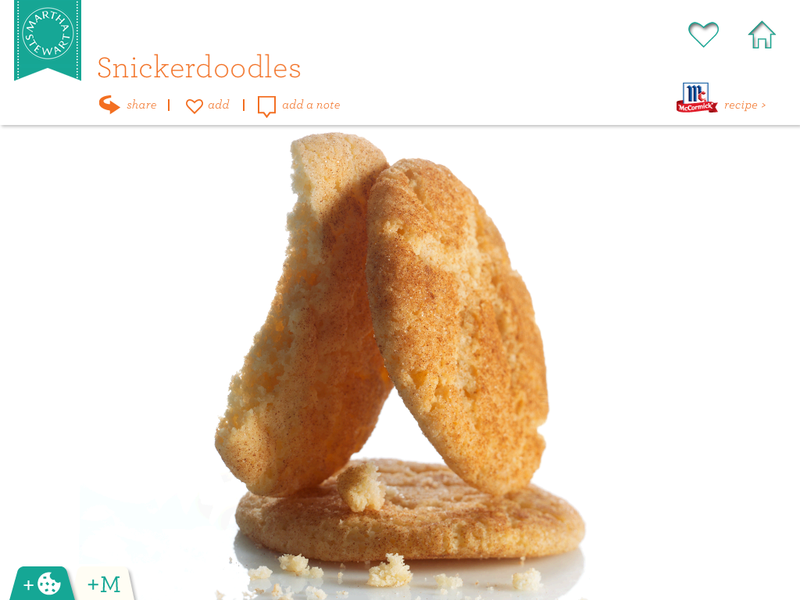 in this recipe it was probably to stabilize the cookie since you used shortening which made them softer. lol. you should spend some time in Sac in the summer. 90-95 is mild. 🙂 this summer has had quite a few days well over 100… but as long as my AC works I don’t mind baking. that is, if i can get myself off the couch in my down time! That’s too hot. I’m glad you have AC! Keep that baby cooking comfortably. So, cream of tartar is a biproduct of winemaking. It accumulates inside of wine barrels. 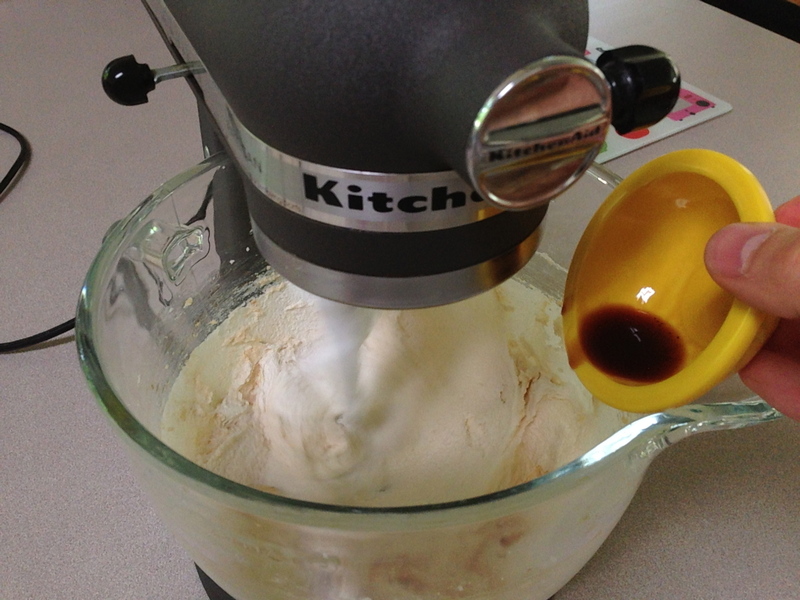 Yes, it is often used as a stabilizer but more so for whipping egg whites and cream. It helps prevent crystallization when cooking sugar. It’s pretty awesome stuff! 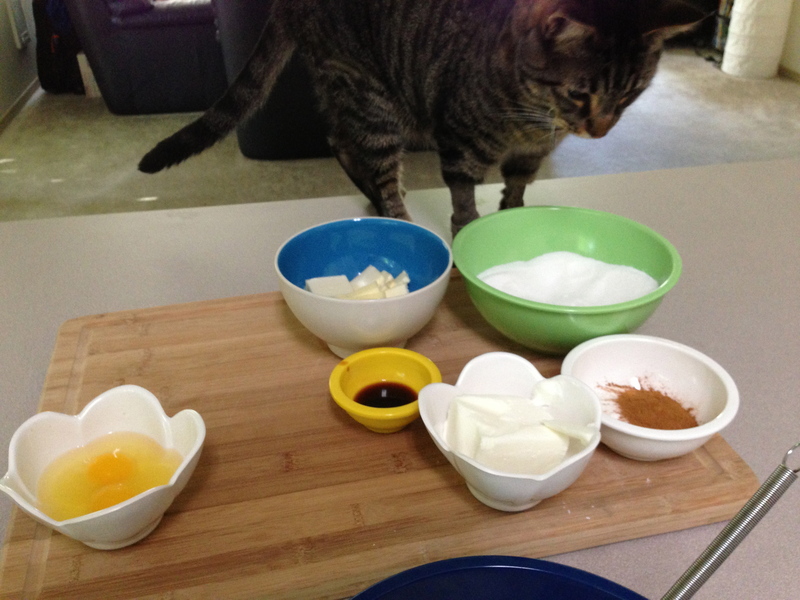 As for snickerdoodles it’s main job is to be a leavening agent. Helps puff up the cookie a bit! 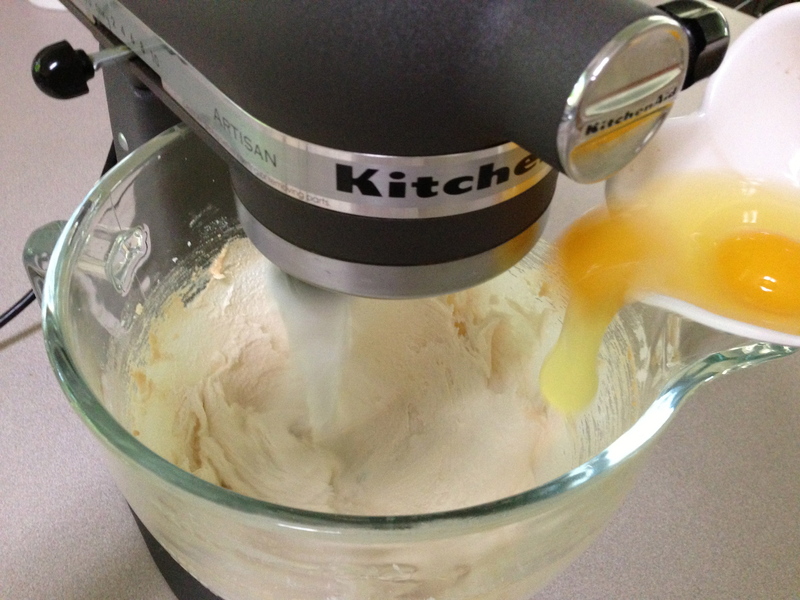 Shortening…I don’t believe in shortening unless I’m making biscuits, pie dough or scones. You could use butter and probably get the same end product and its better for you and yummier! 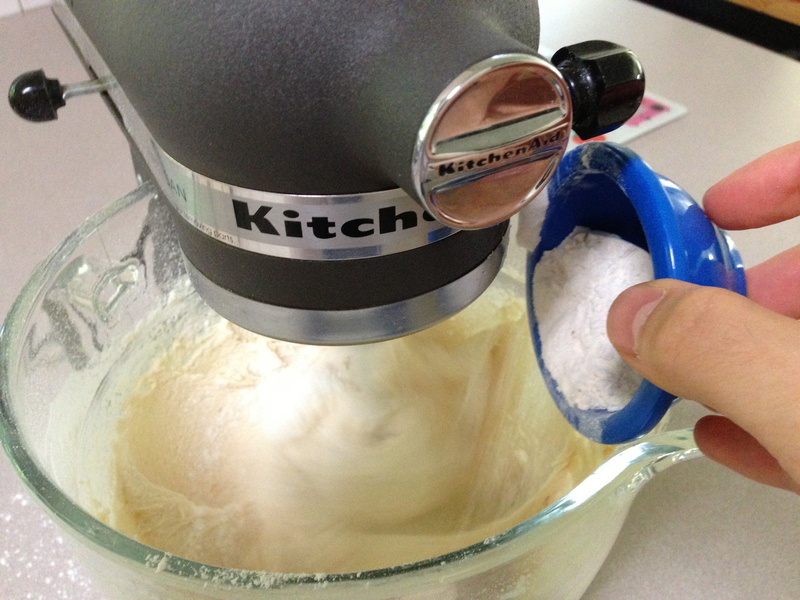 It definitely makes biscuits, pie dough and scones flakier! I’m so excited you live in Oregon! I live in Portland and yes our summer has been fantastic! just started following – i have some catching up to do, can’t wait! Aloha from 88* Honolulu. The apron & you look so cute! Look forward to those Hello Kitty shaped cookies.